Tuesday is my last day this quarter, once finals are over I will have more time to write. School is taking a lot of my time this month. I have had this book on my shelf for over two years and hadn't picked it up yet. It will definitely go on the list. I am thinking about a three category list: the how, the why, and the interesting for other reasons. 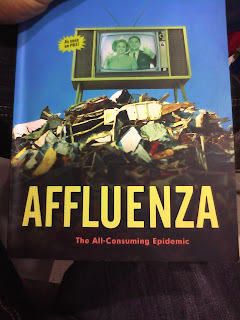 Affluenza will be on the "why", Country Wisdom and Know-how will be on the "how", and Confessions of an Economic Hitman in the "interesting for other reasons". Just a teaser. We are compiling a list, and once it is posted, will have a running list in the side bar.